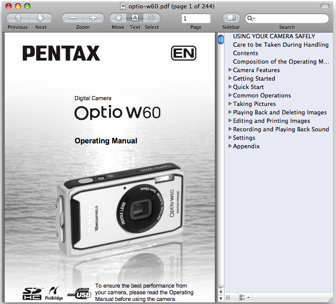 The English Language operation manual / user guide / instruction manual for the Pentax Optio W60 is now available for download. Follow these steps to download the online PDF document. 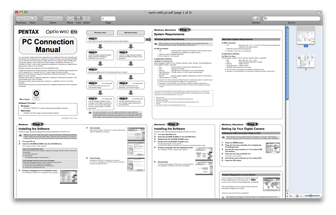 Navigate to the Manual Downloads section of the Pentax Support and Service site. I have to say, after reading the analysis by Khaz, that the W60 seems to be quite feature-laden for such a compact camera.